An elephant's tusks are used as foraging tools and weapons in combat. David Clode. Public Use. When scientists and journalists examine poaching in Africa, they tend to focus on actions taken by human beings to protect a hunted species. What hasn't been examined is how nature itself may intervene on behalf of endangered animals and prevent their extinction. For example, scientists in Mozambique are investigating a peculiar phenomenon in which more and more elephants are being born without tusks. This is believed to be an evolutionary response to the widespread poaching that threatens elephant populations. An elephant’s tusks are basically overgrown teeth and about a third of those teeth lie embedded in the animal’s skull—removing the tusks is generally fatal to the elephants themselves. Conservationists who would readily saw off the horns of a rhinoceros to make it unattractive to poachers are unable to take similar measures with elephants and must instead rely on militarized anti-poaching units to keep the animals safe. Despite the efforts of these units and an international ban on the ivory trade, poachers have managed to leave a permanent mark on elephant population numbers. A civil war that ravaged Mozambique for 15 years saw the deaths of many elephants, as their ivory funded military operations and their meat fed soldiers. During that time, only about two to four percent of female elephants in Mozambique were born without tusks. But the widespread slaughter of tusked females made the tuskless gene more common: about thirty percent of female elephants born after the war had no tusks, while male elephants, who are always born with tusks, had tusks much smaller than those of their predecessors. 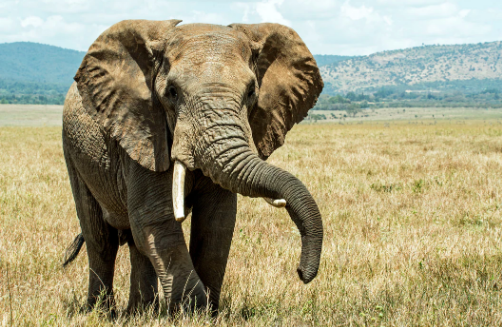 Elephants can survive without tusks, and the elephants born in Mozambique seem healthy. Still, scientists are curious to see what long-term effects this phenomenon will have on the elephant population. Elephants are among the most intelligent creatures on the planet, with a sophisticated, highly social culture. Tusks are a vital part of that culture, serving as tools for foraging and weapons for sparring. Some experts think that a lack of tusks may force elephants to travel greater distances in search of food. Elephants also act as nature’s bulldozers, clearing away trees and making areas of the forest more accessible to other animals. A tuskless elephant would have greater difficulty performing such a task and this may cause ripples in Mozambique’s environment. Scientists will have to wait and see how nature adapts, and what steps it will take moving forward.